Hey hey hey! Sorry about the long wait between reviews, but hey, Meerkats celebrate Christmas too ya know! With the month of December finally done with, it’s time to get back into the thick of things and review some of the official merchandise that Zootopia has to offer! To start this new year off I am going to review My Busy Books: Zootopia edition. Now for those unaware of what the Busy Books series are, they’re a series of books that include figures and playmats to keep kids “busy”. So enough stalling- let’s get reviewing! Read on after the break! First up, we will review the book section of the Busy Book, There is not a whole lot of “book” to be honest with you- it has 9 pages, and on each page it shows you one of the characters (A pair on one page) and a small blurb describing the character and what they are about below it. The book is only meant to give you a glimpse of the characters if you are so inclined so you can use these guys accurately. Yep, although one of the pages is for Mr. Big you might notice that Mr. Big is not one of the figures. Although you do get Kevin, his polar bear bodyguard, so that’s something. The figures themselves are inconsistent in quality between books, so you might not get the best figures when you buy this. They aren’t exactly secure, so if you roughhouse the book with them inside, you risk breaking the figures. Even with the inconsistency of the figures’ quality you can see that they are not the best of figures (e.g. the above Nick with his 2 different shades of color on his face fur). Although this book does get a few bonus points for having Stu & Bonnie Hopps and Mrs. Otterton figures which are rare. The Mrs. Otterton one is not too shabby either. Now the final thing this book comes with is a small playmat. 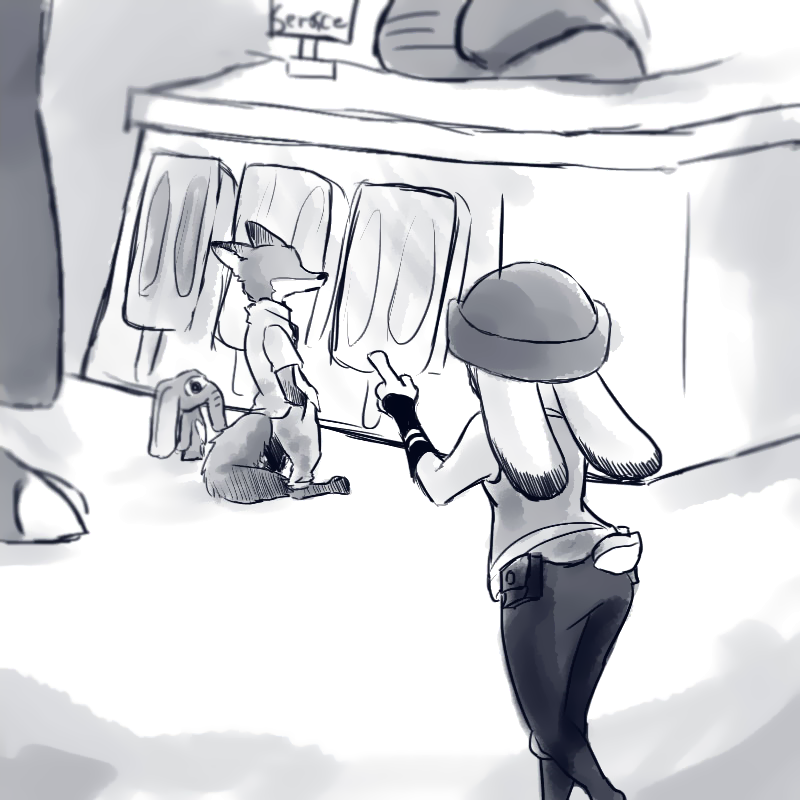 It has 4 printed pictures- one is a picture of Zootopia itself (not sure why you would use this one unless you imagine a Kaiju Finnick destroying Zootopia… that would be pretty amusing to see actually! ); Two others are parts of Little Rodentia both inside and outside of it, with one of them showing the flower shop that Duke robs in the movie. Finally, there is a backdrop of a random street in Zootopia, but judging by the pillar I would say outside the train station because that’s the only place in the film I remember seeing them with the iPod adverts! For the book portion of it, not a chance. It’s more a tiny bio collection for the characters and would only need to be glanced at once. For the figures? Only if you need merch of a certain Otter wife and bunny parents. Otherwise, I would have passed on this too, Although they are the right size for cake toppers. Playmat? It makes a nice poster I suppose. But all in all I would probably give this a no. Not because it’s terrible, but because there is better Zootopia merch of all the other characters you could grab. As to where to find it, you can get it on Amazon, but from what I am seeing it is way overpriced- I was lucky to snag mines from a local book store for £7.99. I’m staring at one on Amazon right now going for upwards of £60. For that price? I would not recommend it. This has been your friendly neighbourhood meerkat Surrika signing out! Andy’s Note: on the US version of Amazon, you can get it for $12.99, which really isn’t that bad for a dozen figures, even if they are cheap quality. I have no idea what Surrika was looking at, but she’s right- £60 is way too much. 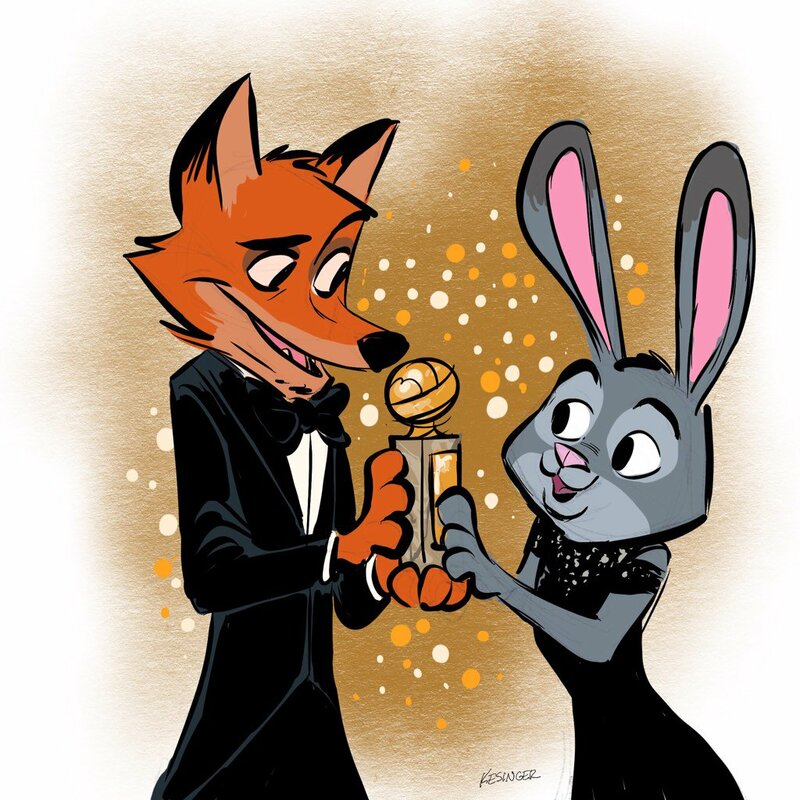 ZOOTOPIA WINS THE GOLDEN GLOBE! For 13$, I wouldn't expect too much, considering I got my Zootopia pin for that much.